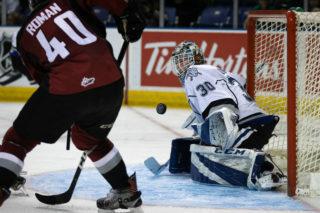 Victoria’s Coleman Vollrath posts first career shutout in 3-0 win over Kootenay. 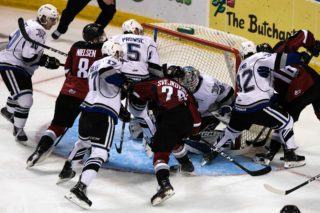 Victoria, BC – In a Tuesday night matchup at Save-on-Foods Memorial Centre, the Victoria Royals hosted the Kootenay Ice in the two clubs’ only meeting of the season. The Royals gave Coleman Vollrath start in goal, while the Ice countered with Wyatt Hoflin. The Royals’ Steven Hodges and Austin Vetterl of the Ice dropped the gloves 6:27 into the opening frame to set the game’s tone. Hodges picked up the decision and soon after Austin Carroll put the home team in front with a powerplay goal at the 7:17 mark. Brett Cote’s point shot took a bounce off the end boards before Carroll helped redirect the puck past Hoflin. The physical play continued midway through the period as Ryan Gagnon and Logan Nelson each laid big hits on Kootenay players. With 2:49 left in the first, Brandon Magee added to the Royals’ lead with a shorthanded tally. 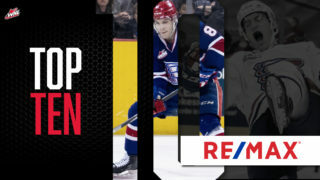 Magee blocked a point shot and broke in on a breakaway before making a deke to his forehand to put Victoria up 2-0 after 20 minutes of play. Logan Nelson made it a three-goal lead for Victoria with a powerplay marker 3:33 into the second period. Nelson and Jack Palmer found themselves on a two-on-none break which ended in the Rogers, MN native tucking the puck past Hoflin. The Ice pressed to get on the board shortly after, but Vollrath made a diving save on Tim Bozon to keep the visitors scoreless. Kootenay had a late powerplay chance, but Vollrath and the penalty kill unit helped the Royals hold a three-goal advantage into the second intermission. Vollrath’s strong play continued in opening minutes of the third period as he slid across the crease to deny Bozon with his right pad. Victoria’s penalty kill unit was tested midway through the third, but once again kept the Ice off the board. 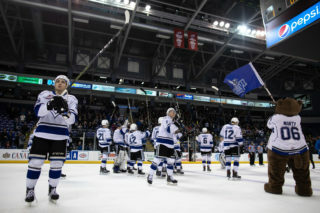 Vollrath and the Royals shut down Kootenay the rest of the way to secure the Calgary native’s first career WHL shutout. Royals 3 Ice 0. Victoria went 2/3 = 66.7% on the powerplay, while Kootenay went 0/4 = 0.0%. The Ice outshot the Royals 25-19. 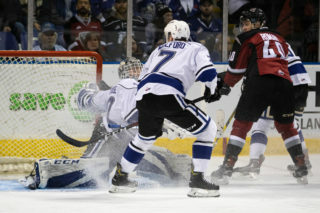 Next up for the Royals is a two-game home stand against their coastal rivals, the Vancouver Giants, on Friday and Saturday. Saturday also marks the club’s annual Teddy Bear Toss Night! 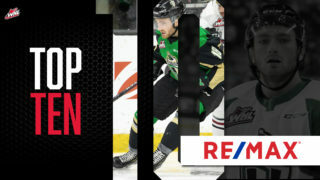 The puck drops at 7:05 p.m. each night at Save-On-Foods Memorial Centre. Give the gift of hockey this holiday season by purchasing a Royals Holiday Combo or an Island Savings Kids Club membership! The Holiday Combo, available for $60, includes four anytime ticket vouchers and a gift. Kids Club memberships, for fans 12 years and younger, are available for only $20 and include four child tickets, a t-shirt, newsletters from Marty the Marmot and much more!